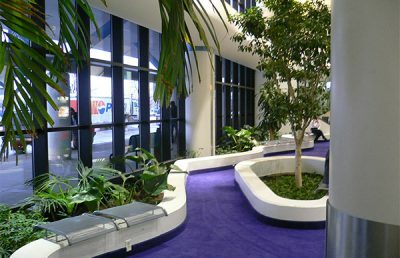 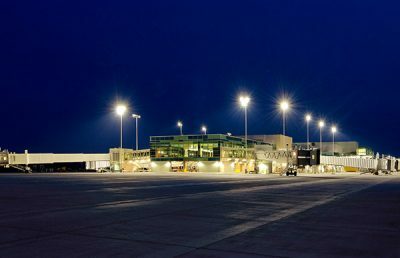 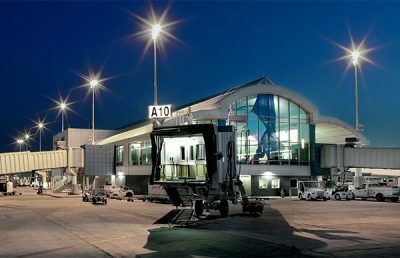 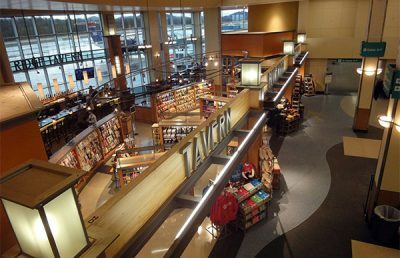 RS&H has a longstanding relationship with Bishop International Airport Authority in Flint, Michigan, having provided the airport with engineering, architecture, environmental, visualization and planning services for more than 20 years. 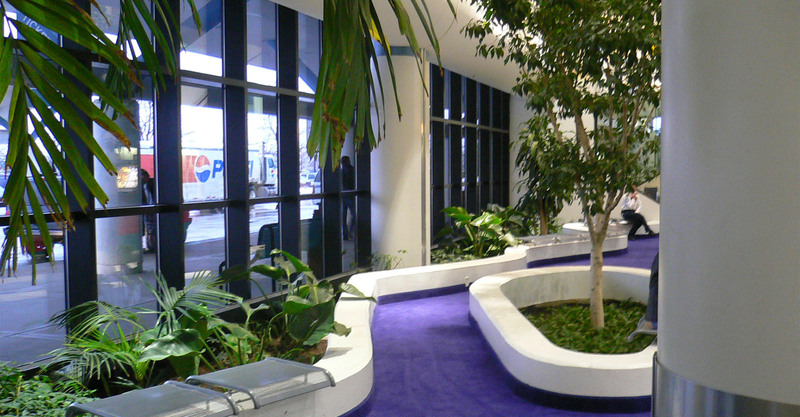 RS&H’s planning for Bishop dates back to an early 1990s Master Plan that RS&H updated in 2007. 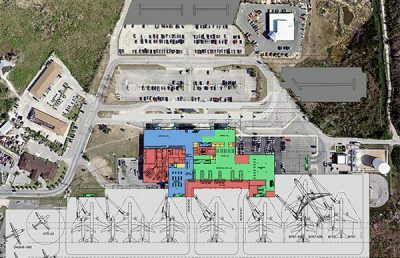 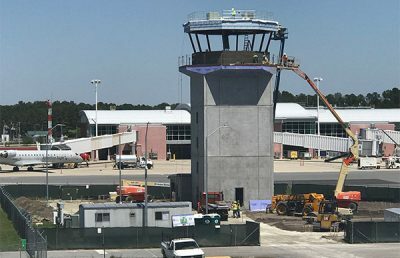 This most recent Airport Master Plan Update builds upon the success of the original Master Plan, paving the way for a new intermodal cargo center serving the diverse cargo needs of the area. 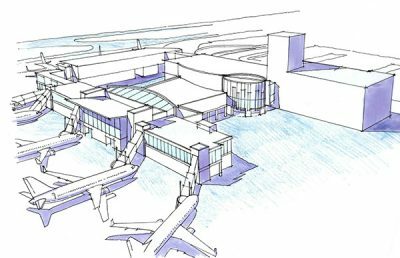 It also recommended two terminal expansions to accommodate rapid passenger growth, auto parking lot expansions and a new rental car facility. 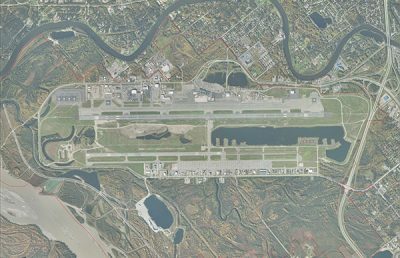 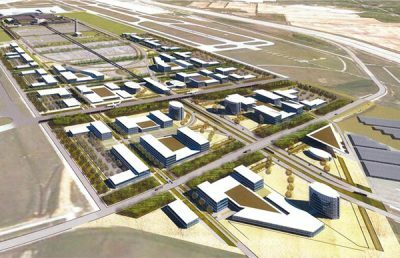 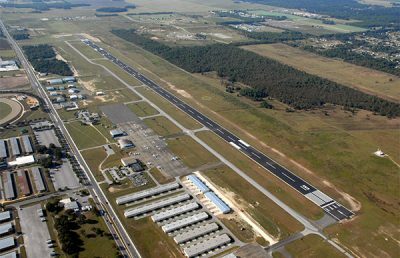 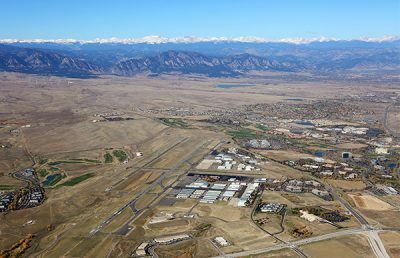 Other projects envisioned in the current Master Plan include reconfiguration and realignment of the airport’s existing general aviation runway to promote a more efficient and safer airfield. 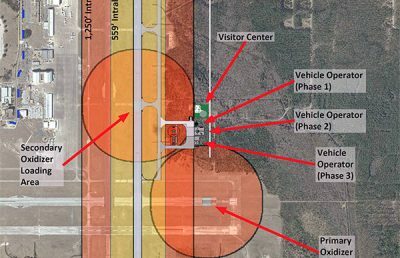 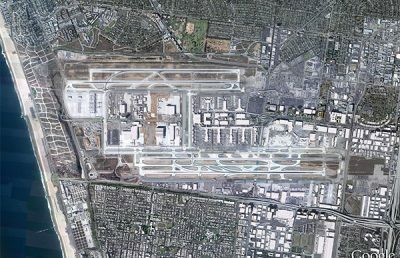 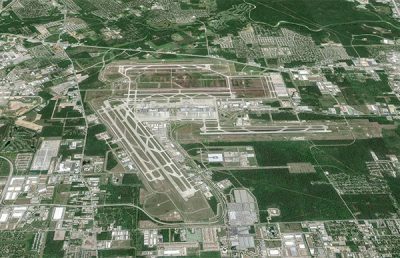 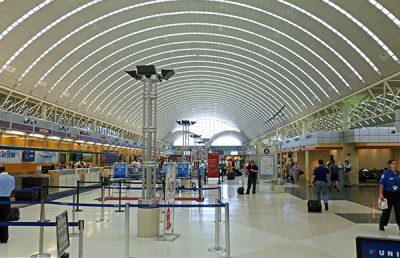 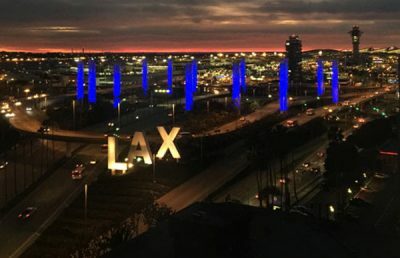 RS&H also completed a FAR Part 150 Noise and Land-Use Compatibility Study to eliminate incompatible land uses and performed an airport security assessment. 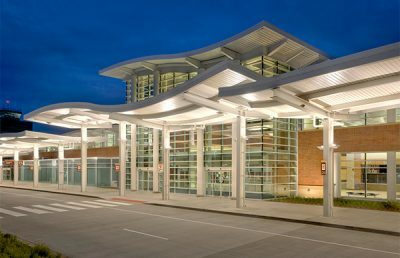 Other services included planning for a security and terminal area and a plan for an EDS-based, in-line baggage screening system. 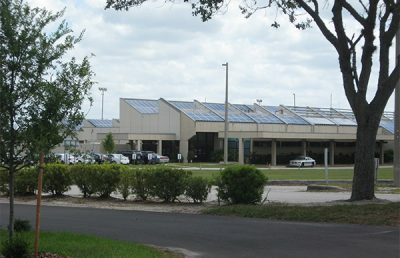 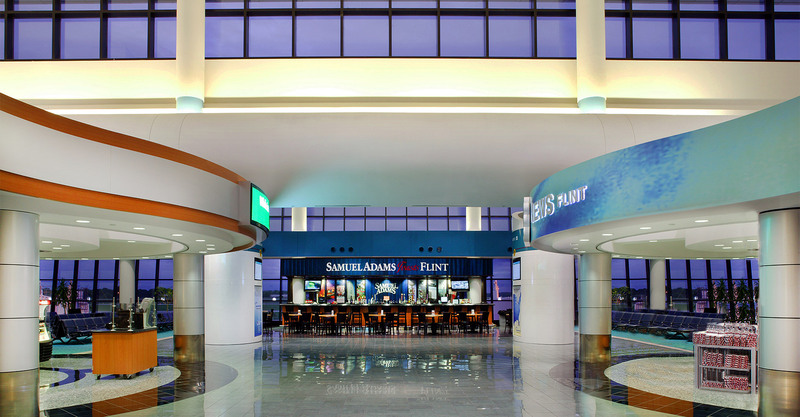 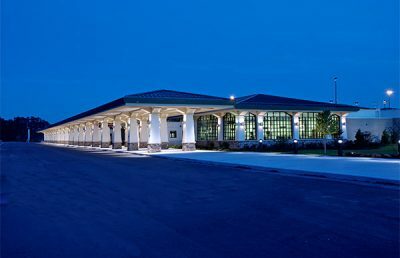 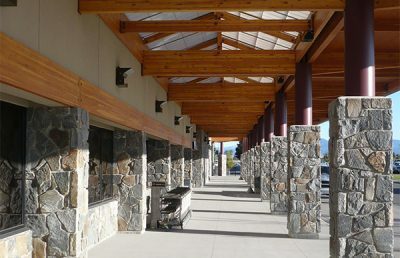 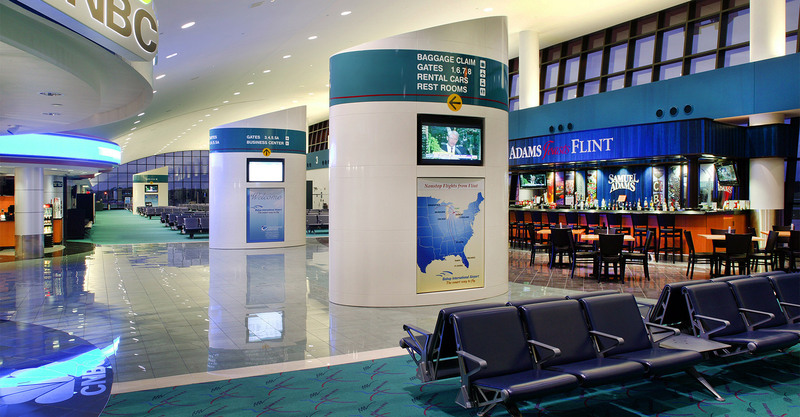 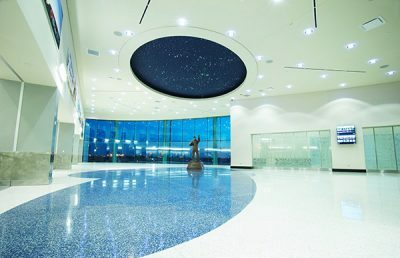 The Bishop International Airport Authority retained RS&H to design a new terminal. 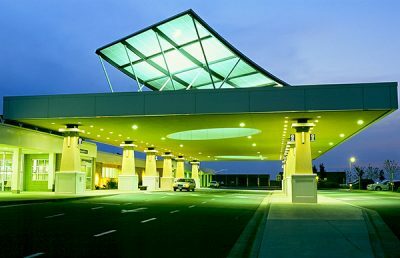 The terminal color and material palette reflects a contemporary image inspired by the local automotive heritage. 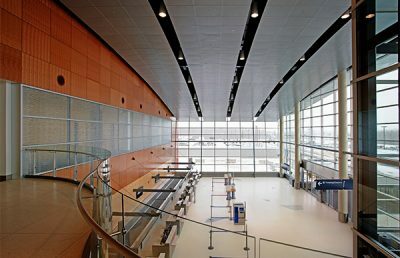 RS&H also designed an additional four gates and associated hold room area. 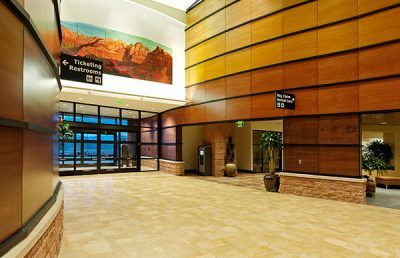 Another expansion project designed by RS&H has nearly doubled the size of the ticketing lobby, improved the building automation system and communication infrastructure, doubled the handling capacity of baggage claim, and incorporated a computerized access control system and EDS-based baggage screening system. 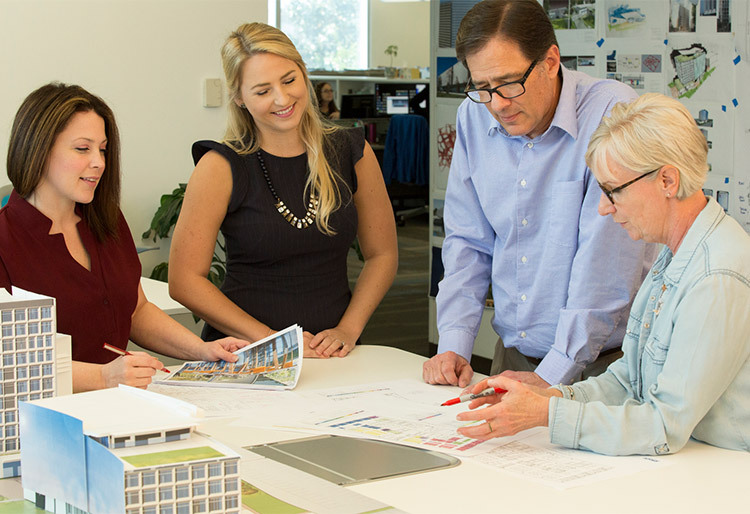 RS&H created high-quality renderings of the project so that the client, public, and other project stakeholders could better visualize the design. 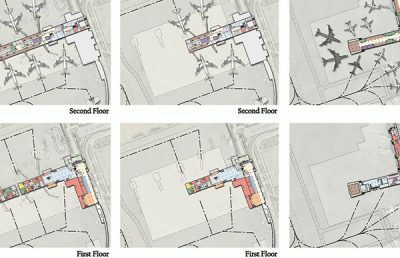 These visualizations aided in making final adjustments, including changing the final finishes and other design elements. 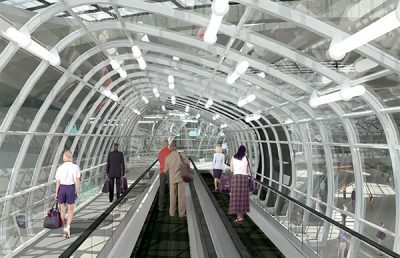 The final renderings were also used as a public art display during construction, so the public could visualize what the airport would look like when completed. 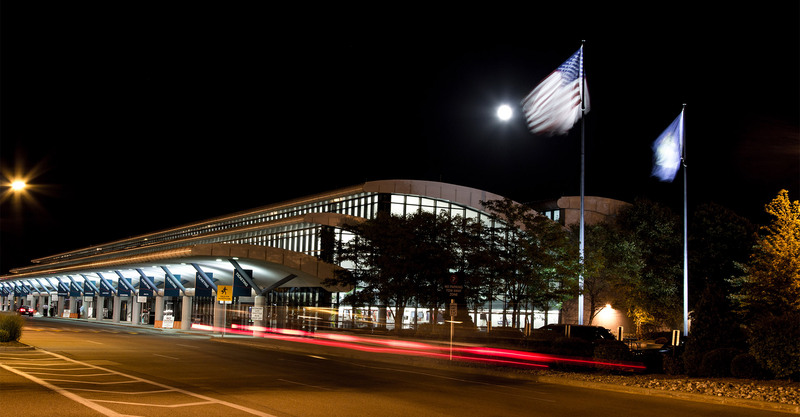 Additionally, the airport authority’s new logo was inspired by the strong side profile of the terminal roofline. 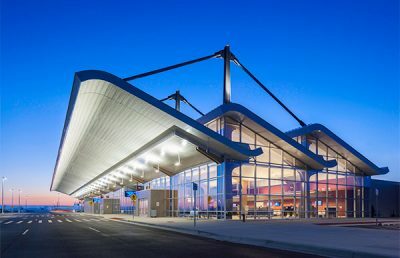 Awards Terminal honored with numerous awards, including Michigan DOT’s Project of the Year and American Institute of Architects’ Project of the Year. 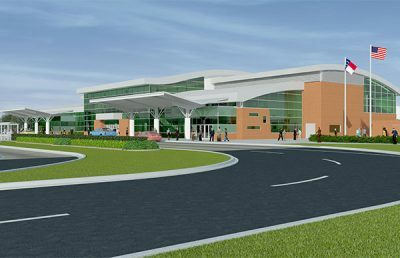 RS&H selected MDOT’s Consultant of the Year.